Wave Fundamentals explains the basics of wave anatomy and behaviour, and a comprehensive step by step guide to creating different types of waves in two scenarios. 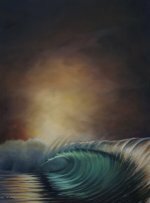 You will be creating gorgeous, realistic waves that will have all the surfers lining up! More on Water builds on your understanding of the four elements that make up the appearance of water learnt in Water Fundamentals. 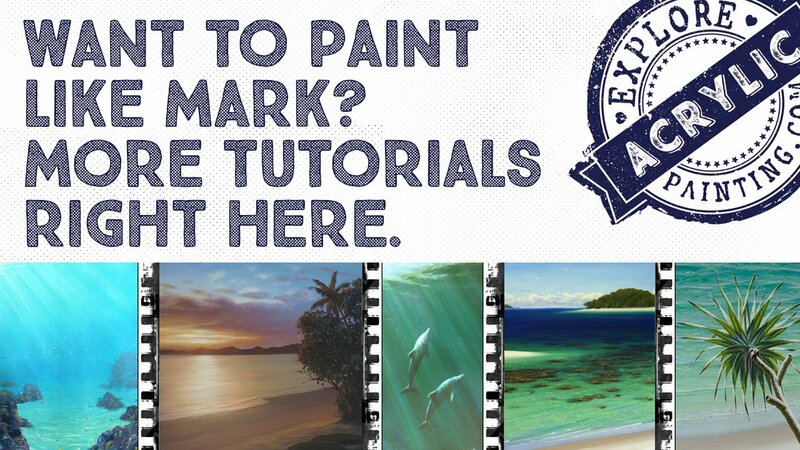 This comprehensive tutorial will have you attacking your waterscapes with gusto! 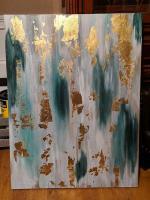 Mark's passion and enthusiasm for painting and teaching will inspire you into action! Learn how to break the appearance of water into four manageable elements. You will look at water in a whole new way! 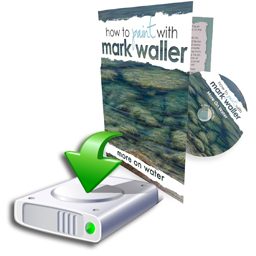 Following on from Water Fundamentals, this DVD tutorial focuses on the detailed aspects of painting waves, whitewash trails & foam in the ocean, giving realism and "pop" to your seascapes. 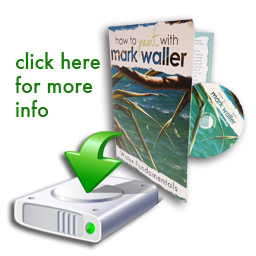 Accelerate your learning with this mixed bag of tricks of the trade from Mark, which make his painting process easier and more fun, accumulated over 30 years of painting professionally. 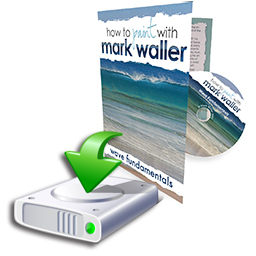 For our hard copy DVDs, please click here.